Love That Max : The Special Blogger Needs Weekend Link-up: share a post! 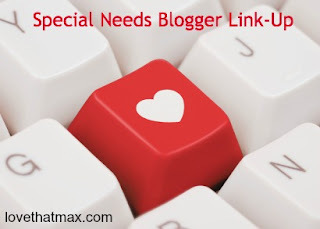 The Special Blogger Needs Weekend Link-up: share a post! Thank you for the link up this week. I learn so much from the other bloggers! Added some stuff about my film "A Stroke Of Endurance" which is about disability. And A Stroke of Endurance will be fabulous. Several film festivals are coming up in my neck of the woods. Especially MIFF and the Human Rights and Transitions Festivals. Thanks so much Adelaide Dupont! I didn't know you read this blog too. :) We are making good progress on the film. There are only 2 more scenes left to shoot and the scenes that have been shot are already being edited into a rough cut. The film will likely be ready in late October 2017 or early November 2017. When is the submission time for those Film Festivals?? Let me know? I seem to remember people being excited about Transitions after I saw MOONLIGHT at the cinema which it's based in Melbourne. As for Human Rights Film Festival - there are lots of those around the world! http://2017.hraff.org.au/2017-program/browse-program/ [if you're in there you'll be an International Short]. http://2017.hraff.org.au/2017-program/accessibility/ [this is a really good one to check out]. http://miff.com.au/submissions - again for 2018 - the path is usually April-June. You will be "let know" at the end of June. Thank you so much Adelaide Dupont! I see these festivals are all in Australia. :) Always wanted to go there! I will save this information and look further into it when "A Stroke Of Endurance" is ready for release. If you find anymore information you want to share with me feel free to contact me through the Crip Video Productions google plus page. This week I discovered Tim Chan's blog through the I CAN network which is a youth and mentoring network. His 20 July 2017 post is about the book THE PRODIGY'S COUSIN and his friend Laurence. Since this June he has been writing all sorts of posts and his mother Sarah set up the website. Tim Chan is now an uncle to baby Evan and does horticultural work in addition to his writing and advocating. And yesterday [Friday] there was a preview of an AUSTRALIAN STORY about Sam Best who is travelling through Namibia and South Africa in 2017 with his family. He is 16 years old and lives in inner west Sydney. So the website is called SAM AND JAMES' BIG ADVENTURE. There are lots of neuroplasticity workouts - the father James is a paediatrician and has a podcast called Kidsense. Another interesting blog I have read is called THE TRANSITIONAL TRUTH. Valerie is setting us on tenterhooks. Of interest are Jessica's videos where she shares her love of dogs and of schedules and hopes for a driverless car. Thanks for all the info Adelaide! I like to expand whenever I can on why a post meant something to me and why I would choose it. Bill Peace wrote 2 important pieces about his life in Denver and how he incurred a heart attack while he was at Yale University teaching. And there is a young lady in Denver who uses a chair and communicates with her iThing with sass and grace and grit and spit. That post contains animal cruelty on the part of the Malawians. Sam's second blog is "his opinion of Africa" as of August 2015.